The first 5km of a 100km cycle only superhighway has opened to public in Germany. When complete, the route will connect 10 western cities including Duisburg, Bochum, and Hamm, and four universities. Martin Toennes of regional development group RVR says almost two million people live within 1.2 miles of the bicycle highway and will be able to use sections of it for their daily commutes. With the rise in popularity of electric bicycles to help with undulating terrain, RVR says the bike way, which utilizes mostly abandoned railroad tracks in the Ruhr Valley, could replace up to 50,000 motor vehicles during daily commuting hours. When finished, it would be the longest surfaced urban cycling commute track in the world. The concept of a bike superhighway is not entirely new, especially in velocipede-friendly European countries. Both Denmark (22 km between Copenhagen and Albertslund) and Netherlands (7 km between the city of Breda and the town of Etten-Leur) have their own versions. London is poised to spend €900 million on the East-West Cycle Superhighway, a 30-km separated bike path connecting Acton in West London with Barking in the east. But if and when it’s completed, Germany’s superhighway will certainly stand out as the longest. Clever publicity or not, cycling needs exactly this support from the Government to make it more accessible. Most people I know shy from cycling specifically for the risk of entangling with motorized transport. This goes a long way to address that. Now if US would just get out from the clutches of big oil and started doing something similar. California has some great cycling trails, and a lot of people do use for commute, but any reasonable commute always forces you to cross traffic at some point, and statistically Californian cyclists die more frequently than any other state in the country. If you are going to be killed by a car while riding a bicycle, there’s a good chance you are male, older than 20 and living in California or Florida. That’s the finding of a report issued Monday by the Governors Highway Safety Assn. that also noted that between 2010 and 2012, U.S. bicyclist deaths increased by 16%. California, with 338 cyclists killed in collisions with motor vehicles, and Florida, with 329, had the highest totals during that period, the report said. 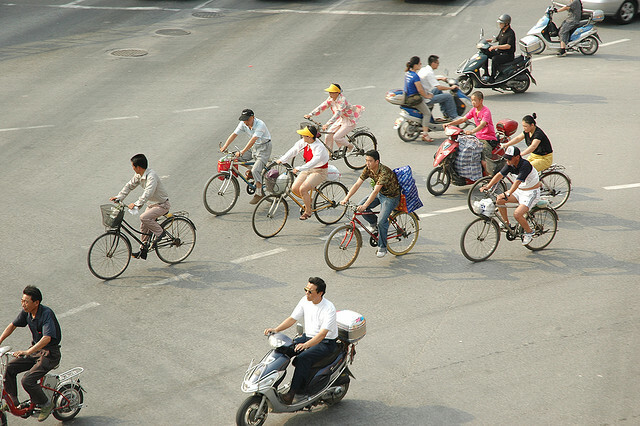 They also had the largest increases in annual cyclist traffic fatalities from 2010 to 2012. Florida’s deaths rose by 37 to 120 in 2012 while cyclist traffic fatalities in California rose by 23 to 123. California had the most bicyclists killed of any state in 2012.